Tourism Operations provides an introduction to the dynamic Tourism Industry. 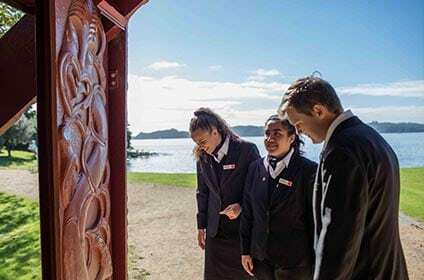 The programme focuses on the concepts of manaakitanga and whanaungatanga and how these are applied in a professional tourism and hospitality context. Graduates will understand the importance of customer service and intrepretation in delivering a unique visitor experience. 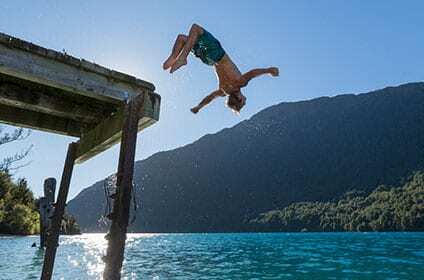 The QRC Certificate in Tourism Operations will prepare students to work in the tourism industry, with a focus on front-line positions, across a range of organisations. Graduates will also be able to progress onto further study and gain entry into QRC’s Diploma in Hospitality Management (Level 6). Applicants not meeting the entry criteria may be considered on a case by case basis by the Academic Director. Consideration will be given to those with prior work experience and life skills experience. If English is a second language an IELTS score of at least 5.5 with no band score lower than 5.0, or an equivalent as per NZQF Programme Approval and Accreditation Rules 2018. All applications are interviewed as part of the admission process. *If your household income is proven by StudyLink to be $80,000 or less you will qualify for the reduced fees.